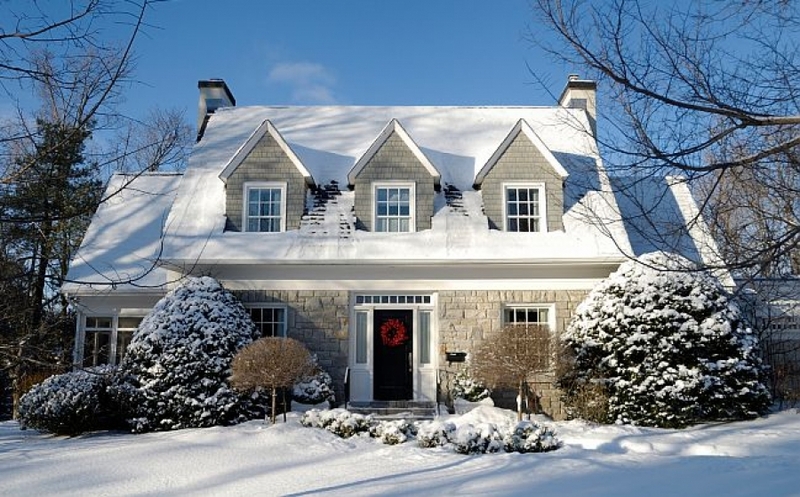 Remove snow from shrubs and trees so that potential buyers don’t get wet as they walk up the sidewalk to your home. Brush off snow, prune the tree limbs and trim the hedges as needed. You can even hire a tree serviceto do this for you if you’re strapped for time. While your lawn is dormant this time of year, you can at the very least make it look well maintained to give buyers a sense of what it looks like during the spring and summer. You can also display photos in your entryway of how your home looks outside during the greener months. If you have ice and snow on your driveway and sidewalk, you need to take care of it way in advance of showings. Clear ice and snow with shovels and salt, so that your exterior looks nice and safe to buyers. It will also increase the aesthetic quality of your home to buyers and keep you from getting sued by a buyer who falls or slips. If you have particular trouble with ice and snow, you can call a snow removal serviceto do it for you. If you have a fireplace, you should showcase it as part of your home’s aesthetic appeal. A gas fireplace is easy to turn on before a showing, and it adds natural beauty to your home — not to mention warmth. A wood-burning fireplace is a bit harder to maintain, because you can run out of firewood. So you need to time the lighting just right before the showing. You also need to make sure the chimney is in good condition, so have it cleaned and checked by a fireplace professionalahead of a showing to avoid any problems.